Love the mix of ingredients in this salad. Perfect for summer dinners at my house! Mmmmmhmmmm! I’ve been all about quinoa salads this summer and the thought of adding grilled veggies is making my taste buds dance…love this, lady! Quinoa salad with beans and feta is always a great idea! Haven’t had it in a while, so I kind of crave it. Maybe I’ll also try it with bulgur. 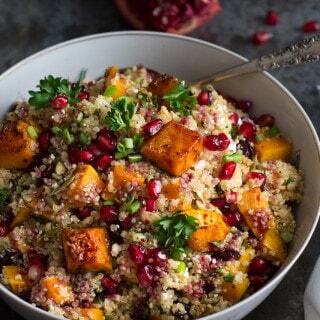 What’s your favorite: bulgur or quinoa?